Ephesians 4:26-27 Be angry and do not sin; do not let the sun go down on your anger, (27) and give no opportunity to the devil. Now, this much I do know. If we tell abuse victims that it is sinful for them to be angry about what was done or is being done to them, we are going to do them much harm. In fact many abusers will use this very tactic against their victim: “You call yourself a Christian! You are just an angry, bitter person! You are unforgiving.” You know the line I am sure. So what about it? Well, it turns out that it is pretty easy to find Scriptures that show that it is right to be angry when we see evil and injustice. But what about when we are the victim of that evil and injustice ourselves? Scripture addresses this scenario too. It seems to me that perhaps some of our difficulty here is due to failure to define terms. Just what do we mean by “anger”? Here is a woman, for example, who has been horridly abused for years and she is coming to an awakening of what has been happening to her. She starts to understand the nature and mentality and tactics of abuse. She sees that her abuser has in fact really never loved her – ever. That he lied through his teeth in the wedding vows. And she sees her church embracing the guy as a fine, eminent Christian. And she is angry. What do we mean by that? Psalms 3:7 Arise, O LORD! Save me, O my God! For you strike all my enemies on the cheek; you break the teeth of the wicked. Psalms 79:4-6 We have become a taunt to our neighbors, mocked and derided by those around us. (5) How long, O LORD? Will you be angry forever? Will your jealousy burn like fire? (6) Pour out your anger on the nations that do not know you, and on the kingdoms that do not call upon your name! So we must “take care” (ie, stop saying this!) in claiming that it is always sinful for us to be angry when we are sinned against. If we are talking about taking personal vengeance, seeking to carry out revenge ourselves, then that is wrong. But if we are talking about a desire to see justice exacted upon our enemies and abusers, then not only is there nothing wrong with this, there is everything RIGHT about it. I am really sorry you feel this way. It seems a lot is being missed (as often is) when looking from the outside. I have had the opportunity to attend some men’s gatherings with GTY [Grace to You, the ministry of John MacArthur] and listened to many of Dr. Macs sermons. With this said I believe you are looking at his comments out of context. Many of you talk of having an abusive husband who claims to be a Christian…GTY would stand behind the view of church discipline and addressing this if brought to leadership’s attention. …You speak of the emotional abuse. 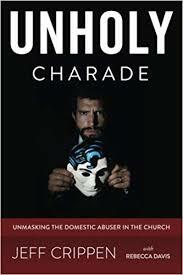 Christians in Bible times and today (in other countries) have suffered physical and emotional abuse. God has time and again commanded us to display the same Christ likeness when he was whipped to near death, spit on, and finally our God hung on the cross to die. I have news for this guy. First, he would not take that treatment for a second if it happened to him. Second, the Lord Jesus Christ’s sufferings on the Cross are not to be equated with our sufferings. WE do not effect redemption from sin when we suffer. Christ did. Jesus avoided abuse numbers of times in His earthly life. When it came to the Cross, He submitted. For our redemption. For atonement of sin. But we are not redeemers. There is nothing wrong with desiring justice and in that sense, being angry when we are abused. There is everything healthy and right about doing so and even about desiring to see our abuser punished for his or her evil. So don’t ever lay the idea upon persecuted people that they are sinning if they are angry. Chances are that their anger is one of the first signs that they are awakening to the truth of what has been happening to them. And that is very good.